Pipe Surgeons is proud to offer plumbing and sewer solutions to the residents and business owners in Melbourne. While traditional pipe lining and repair methods require digging and destroying your lawn, driveway or flooring, trenchless pipe lining options allow our team of professional technicians to make necessary repairs and replacements to your sewer system for a fraction of the cost. You’ll enjoy pipe repair without an extravagant landscaping bill to repair damage to your lawn or garden. What is CIPP Lining Melbourne? Sewer Camera Inspection: Our technicians place a live camera into a pre-existing opening in your plumbing system. By pushing the cable through your pipes, we get a live look at the inner linings of your pipes. Once the problem area is located on camera, our professional technicians create a plan to remedy the problem. Pipe Cleaning: Before the CIPP process can begin, the pipes must be cleaned and prepped for the process. 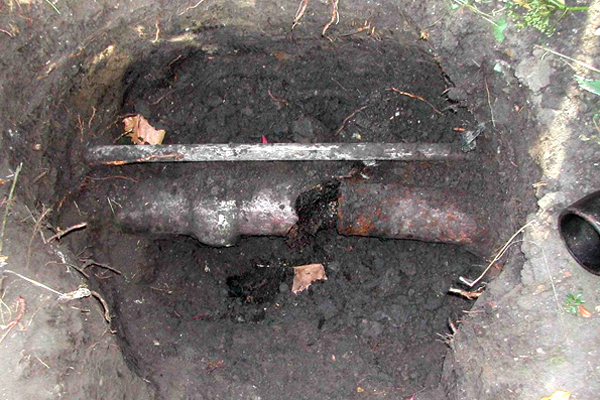 The Pipe Surgeons team uses hydro jetting to thoroughly clear the pipe of any debris, buildup, or invasive tree roots. By using high-pressure water, the pipes are clear in minutes. CIPP: A secondary camera inspection confirms the pipes are clean and the CIPP process begins. Advanced technology is used to complete the CIPP lining. A liner is coated with epoxy resin and pushed through the affected pipe. Water or air is used to expand the liner, pushing the resin into the inner walls of the pipe. Heat is applied for the resin to dry quickly and when the liner is removed, the old pipe is restored to like-new condition with a new lining. Residential and commercial Melbourne sewer lines can benefit from trenchless pipe lining. The sewer line can be completely repaired without the major inconveniences of traditional sewer line work. Repairing damaged or corroded pipes quickly will help preserve your home’s foundation. For efficient, long-lasting sewer repairs in Melbourne, the Pipe Surgeons team is the one to call. In as little as one day, trenchless pipe lining can repair your cracked or broken pipes with minimal invasion to your lawn or home flooring. The process is simple, requiring only two access points to complete the job. Your home’s plumbing system must run smoothly for your family to be comfortable and your home to operate efficiently. Trust the Melbourne trenchless pipe lining experts at Pipe Surgeons. The CIPP lining process is accurate. With the camera inspection completed before and after the repair, our technicians in Melbourne are sure to properly complete the job. This trenchless method also prevents further plumbing damage from occurring. The Pipe Surgeons team is available for any Melbourne trenchless pipe lining your property may need. Contact us today to schedule an appointment.